Set upon the southern entrance to Monterey Bay in California, the Point Piños Lighthouse was the third lighthouse built on the west coast by the U.S. 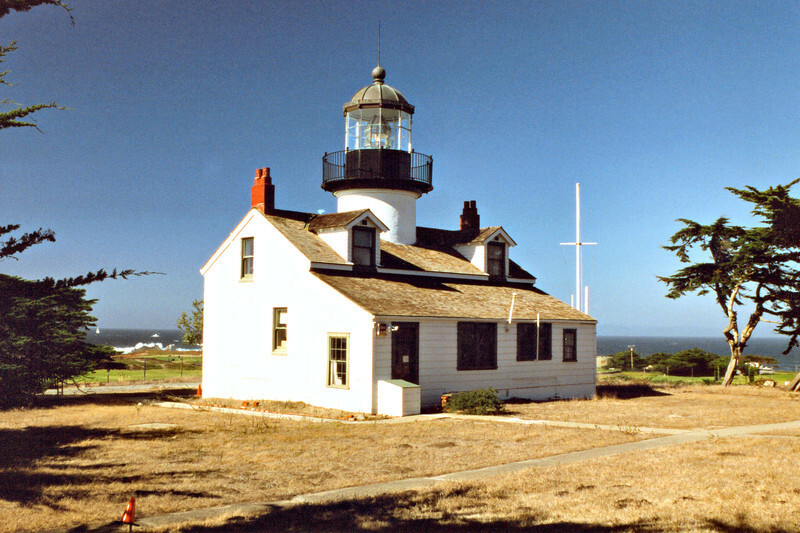 It is also the oldest continuous operating lighthouse as the original lights at Alcatraz and Fort Point were dismantled. After the U.S. gained control of California during the Mexican War in 1850, Congress appropriated monies in 1852 to build seven lighthouses along the California coastline. In 1853 workmen sailed on the Oriole from San Francisco to Point Piños with materials to build the lighthouse. The Oriole had sailed from the east coast with plans and supplies to build the first west coast sentinels. The style used for all of the lights was a Cape Cod style house with a lantern on the roof.